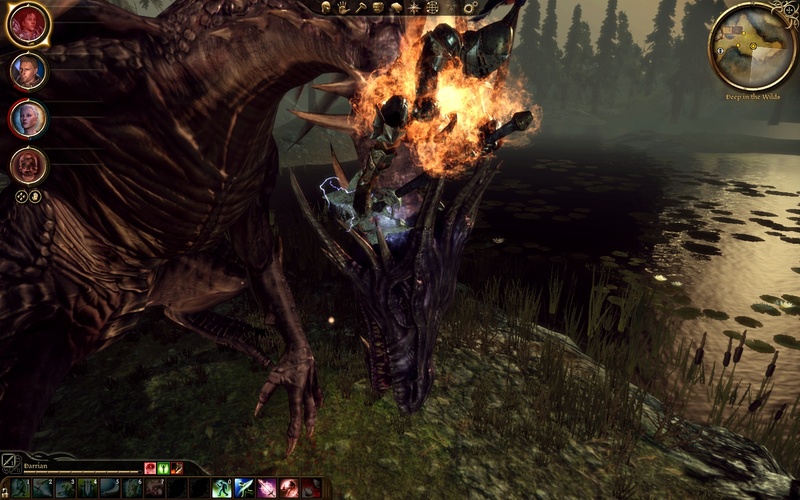 The Refined Geek » Dragon Age: Origins, Infuriatingly Captivating. 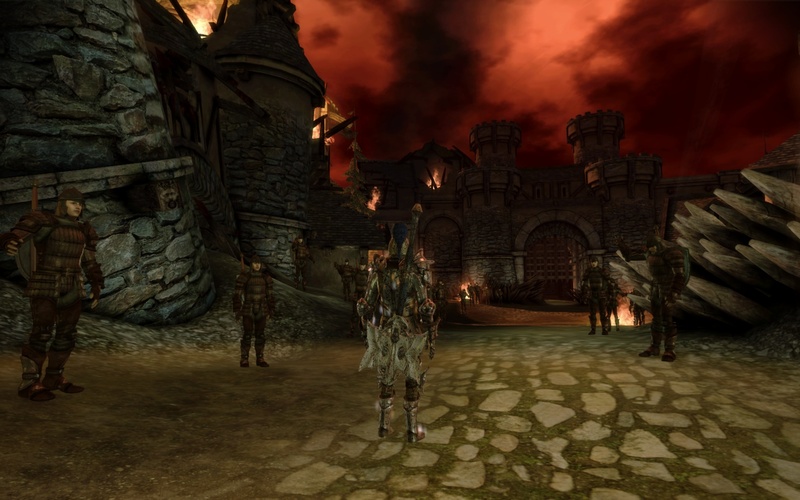 Dragon Age: Origins, Infuriatingly Captivating. Maybe it’s the engineer in me (or more likely the perfectionist) but I find it almost impossible to go to bed when I feel there’s something left to be done. This is probably why I lost many long hours on World of Warcraft since there’s always something that needed to be done. It is fitting then that Dragon Age: Origins gave me the same feeling for a solid 2 weeks and every moment spent away from the game had me thinking about it. After what the game tells me was 31 hours (although I know it was more than that, my quick save/load buttons will tell you) I’ve taken some time to reflect on the world that Bioware created and their prowess when it comes to the genre of deep RPGs. The first point of note with Dragon Age, as it is with any RPG that comes from Bioware, is the incredible depth of character that all actors have in this world. All the characters have a depth to them that you don’t often see outside a Bioware RPG. I found myself choosing the same party members over and over again because I wanted to know more about them, anxiously awaiting the next dialogue option in order to explore their past in this world. The unfortunate downside to conveying such depth in this medium means that the game suffers from what I like to call the Mass Dialogue Effect (take a guess where that name came from ;)) whereby almost any character with a whiff of involvement in the story will happily regale you with their life story.Whilst it does demonstrate Bioware’s dedication to developing every character in depth it can be laborious when your replaying a section you failed to complete. Now I’ll have to be brutally honest here: I’m not what you’d call a veteran of this genre despite my hundreds of days experience with its MMO counterpart. I missed the Baldur’s Gate series of games when they were released, I haven’t played any of the Knights of the Old Republic games and I couldn’t get into Never Winter Nights. So whilst I’m familiar with the concept of min-maxing your party to make you effective i n combat I still got the same feeling that I did when I was playing NWN, the game didn’t really favour those of us who chose a certain path. Musing over the game with friends showed that a few had chosen the mage class, whereas I the warrior. It became pretty clear early on that the game designers made some fights impossible to hack and slash your way through, wanting you instead to take time to use your abilities carefully and make heavy use of the pause function. This is all well and good, however this was usually accomplished by mearly overwhelming you with enemies which the warriors and rogues have a hard time dealing with. Mages on the other hand can quite easily dispatch a large group of enemies with 2 spells thus rendering the challenge useless. Whilst class balance is a small issue in a single player game I couldn’t help feel a little cheated, although there is the potential to play through again. This leads into my next point, the combat. Bioware has done a particularly good job of making the combat you’re involved in feel larger than life. The combination of the music, your characters screaming their various lines and abilities that do everything from shaking the camera when you land a critical hit to summoning a massive blizzard almost makes you feel like you’re playing through an epic fantasy movie. The experience is not without its faults however. Positioning my warrior for combat would sometimes get him stuck on the hitboxes of the other characters, making him vibrate violently between 2 spots and not attack. This was only made worse that often some abilities would just inexplicably not connect. This is not to be confused with missing which gives a noticeable “Miss!” text above the enemy, they would just fail to render any reaction. Such behaviour became painfully apparent with the 2 handed sweep maneuver which would hit some enemies but not others. Overall the combat system was engaging but plagued with some difficulties that should have been caught before release. Relationships were definitely an interesting mini game in Dragon Age. You can take them in almost any direction you want and the consequences are obvious and long lasting. After unsuccessfully trying to court Leliana (apparently lavishing gifts of a rabbit-mouse, who she called Schmooples, and flowers is the wrong way to go about it) I set my targets on Morrigan. It would be kind to say she was an easy conquer because it only took a couple nights at camp and one quest before the screenshot above happened. As I mentioned previously I knew there was the potential for some horizontal mambo and I was hoping for some long last consequences, story wise, because of it. I was unfortunately disappointed, with the dialogue between Morrigan and I only having a couple options here or there available afterwards. I have read of others having a deeper relationship although they did not appear to be available to me no matter what I tried. I did enjoy the idle chatter between Alistair and the rest of my companions about my various exploits in Morrigan’s tent though. What intrigued me the most about this game is how unique your experience can be depending on how you interact with people. Bioware thankfully steered clear of what they did in Mass Effect (E.G if you were going for Paragon they were always on the top right, Renegade was bottom right) which made choosing what to say all that more meaningful. Suprisingly even attempting the same path can result in different outcomes should a battle swing one way or another. This is what made Dragon Age such a talking point for the gaming community as everyone discussing it will have a distinctly different experience. Despite all its shortcomings I was thoroughly captivated the entire time I was playing. I would curse the game for wiping my party out with a surprise swarm of enemies but the victory that would follow several attempts later tasted all the sweeter. I would feel actual remorse for playing my character a certain way and making decision that I felt were right, but caused me some loss in one way or another. I fell in love with Leliana who would never have me despite all the attention I gave her which drove me into the arms of another. Truly this game is as realistic as it is fantastical and that brings with it reveals some true insights into the human condition whilst fostering the escapism we’ve all come to expect from the RPG giant of Bioware. 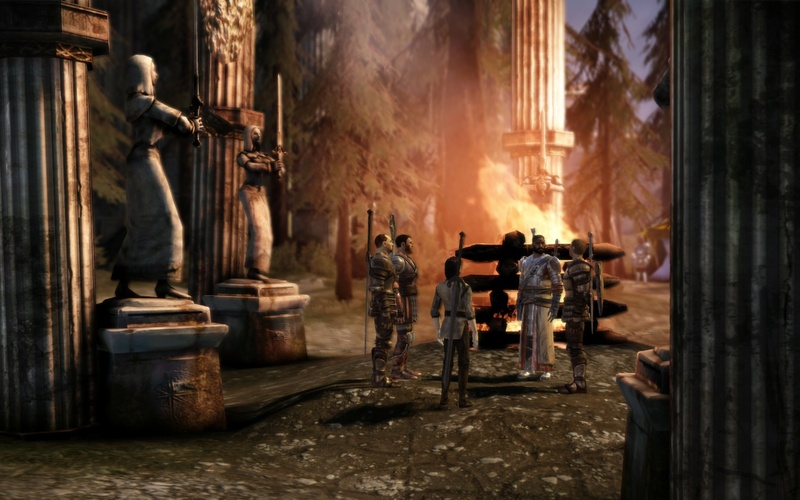 Dragon Age: Origins is available for PS3, Xbox360 and PC right now for $AU108, $108 and $54 respectively. Game was played on PC on normal difficulty (except for the last fight, I lost 2 hours there you bastards!) with around 35 hours of playtime reported. Playing a female character I ended up tumbling Alistair into bed, as he fell madly in love with my Elven …hindquaters. It was actually pretty cute in a bumbling, goofy way. But the real highlight were the conversations the other characters in my party had about it. Absolutely hilarious at times, and I never heard them repeat themselves. Not even once. That was one of the highlights for me to, having the others chat about it “behind” my back. I would’ve liked it if that had developed a bit more at camp but I think that might be a failing on my part, rather than the game itself. I was really suprised by the variety of dialogue those little conversations had, even when I kept the same party members around. Pingback: The Refined Geek » Dragon Age: Inquisition: The World is Breaking.